One of the most important aspects of a criminal case is the custody status of the defendant. Nobody likes to be in jail! Every defendant, as a matter of law, is entitled to a bond reduction hearing. At such a hearing, an attorney can argue for a reduction of his client's bond. This can include: release on own recognizance (ROR), home incarceration (HIP), job search and work release at Community Corrections Center (C.C.C. with releases), unsecured bond, partially secured bond (10%, etc. 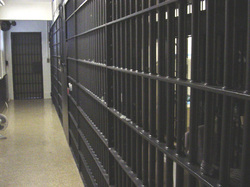 ), or simply a reduction in the amount of bond necessary to release a defendant from custody. A good attorney is skilled at knowing the precise arguments to make at a bond reduction hearing: highlighting a defendant's good points (work history, family support, community involvement, minimal criminal record, aspirations, and other qualities), while minimizing the bad points (extensive criminal record, no ties to community, etc. ).